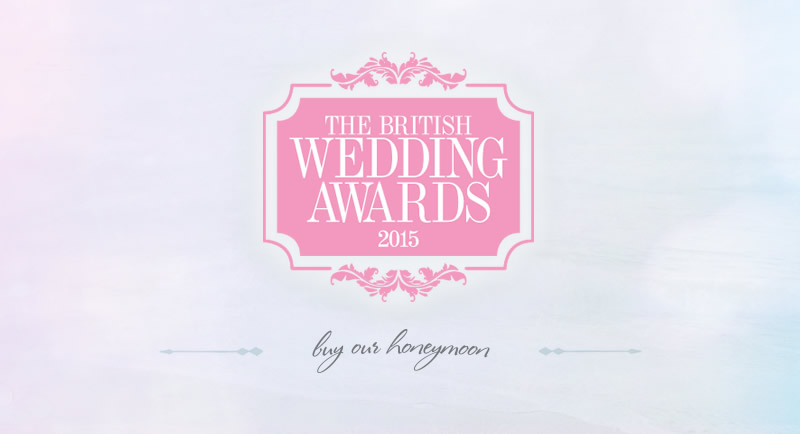 Every year, Wedding Ideas Magazine holds the UK’s most prestigious consumer wedding awards — this year, with a new name and a new voting format to reflect the importance of the event: the British Wedding Awards. The five companies in each category with the highest number of votes were selected as finalists back in November, with the winners announced at a fabulous ceremony in London on Friday evening. We’re incredibly pleased and honoured to have been a finalist again in the Best Wedding Gift List category, alongside Cancer Research, Prezola, Simply Wedding Gifts and the Alzheimer’s Society. The winners this year were Cancer Research, whose Give in Celebration service means that couples who want to support the charity through their wedding can do so by asking their guests to make a donation in lieu of a wedding gift. As well as this award, Cancer Research won the Best Wedding Gift List category in the Perfect Wedding Awards last year. We’d like to offer them our heartfelt congratulations! For ourselves, this is the sixth consecutive year we’ve been finalists in these awards, an achievement of which we’re tremendously proud. We’re dedicated to providing the best gift list experience possible to couples who are actively seeking a way to fund their honeymoon with help from their guests. As an independent, niche supplier, we simply couldn’t have been shortlisted each year without the active support of our lovely customers. Thank you all so much! It’s always amazing when couples send us their encouragement and feedback, and we genuinely appreciate every single vote. You all rock, every last one of you!